As we like to say here at SmartVault, we’re in the business of helping other businesses work smarter. We’re known for our online document storage and secure file sharing technology. But like all businesses, we’re also always in the market for tools to help our team work smarter, happier, and healthier. This year we’ve made some healthy changes at the office, so that for some of us, we’re not just working from 9-5… we’re practically working out at the same time. Our newest member of the IT team, Daniel, just installed a stand-up desk for his workspace. We all know that sitting hunched over a computer for 40 hours a week is just about the worst thing you could do for your postural health, but there’s also evidence to suggest that standing on the job can actually make you more productive when it comes to completing tasks. Anyone remember that episode of Seinfeld where George buys a chair for a mall security guard, and he falls asleep during a robbery? I’m pretty sure this is the opposite of that. 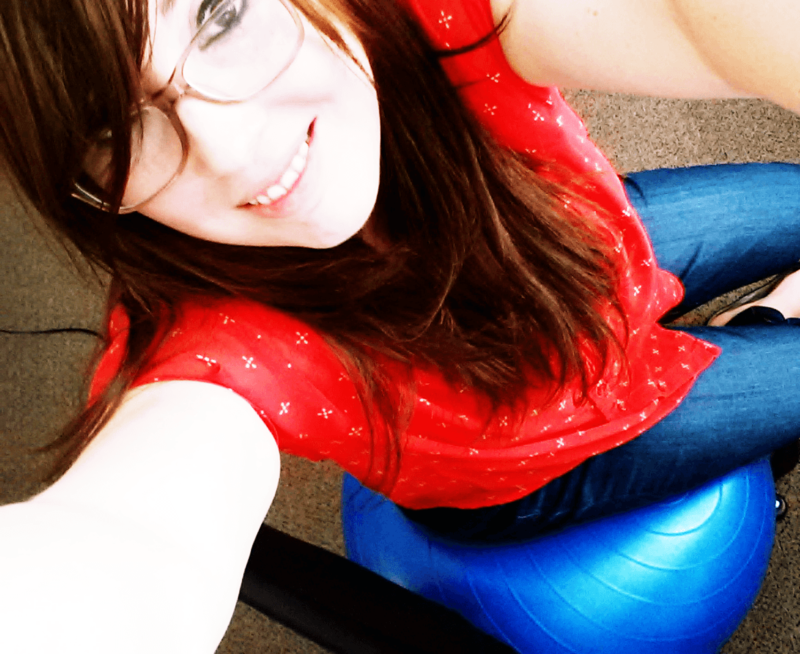 Last but not least, I decided to jump on the ergonomic bandwagon this month, (but I’m still just a little too lazy to commit to standing up all the time) so I opted for a Gaiam Balance Ball Chair. As a chronic back pain sufferer and yogi in training, I’m always looking for ways to improve my posture and keep my core strong… so far this seems like a pretty cool solution for both. So what say you, SmartVault fans? 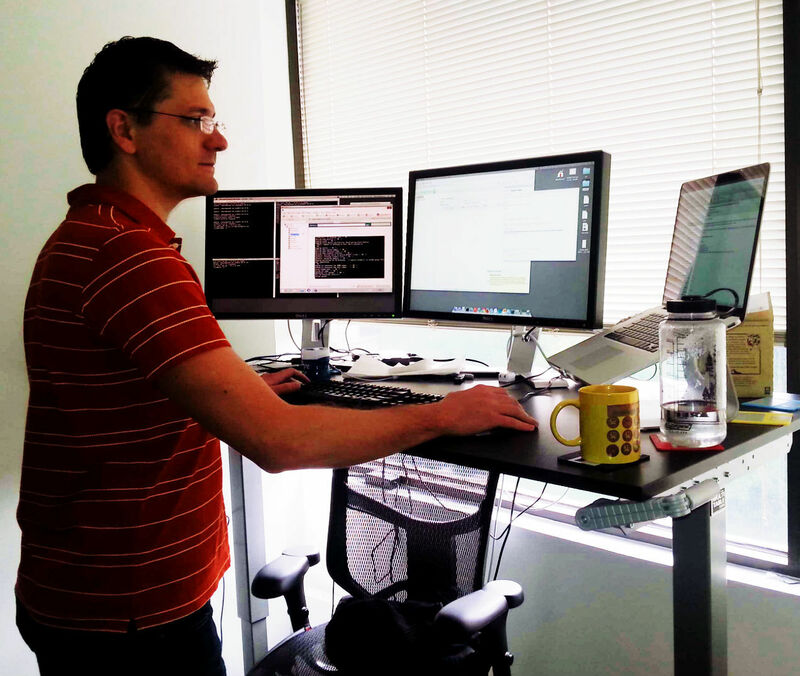 Are you jumping on the ergonomic bandwagon? What are you and your employees doing to work smarter (besides using SmartVault, of course!) and stay healthy on the job?